JOIN the more than 900 businesses already featured on MyPetGroomer! Find out more about BIGA and how you can get involved. BIGA is the pet groomers trade association and community support network. Be a part of something BIGA. Always at the cutting edge (intentional pun) when it comes to progress in the industry, The BIGA Show is introducing an Open Mic Products and Services Showcase. Taking place in the main hall (the East Hall) instead of a separate seminar room, the Open Mic will be arranged a bit like a trade stand, on its own, but with a bunch of chairs for spectators (like the Live Demonstrations). Each session will take up to 30 minutes. Kevin Simpson from Simpsons is scheduled for 10am with "the big reveal". 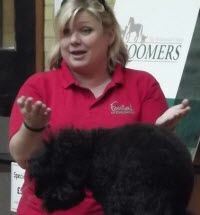 Next up is Rob Fellows showcasing Reiki for Dogs, and Groomers Too. 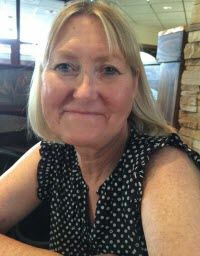 At 11am we have the privilege of Paula Bryan talking about "Maintaining your Equipment". Cleany Teeth is the ultrasonic teeth cleaning system. 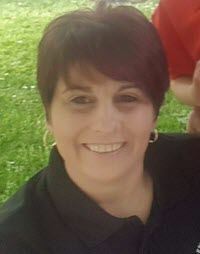 Heidi Anderton will tell us more! "The Vet said The Groomer Did It". 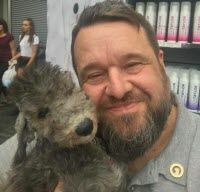 Rafal from Dogzilian talks to us about clipper rash / irritation / hot spots - and the customer who thinks you injured their dog during grooming and how to prevent! Gia Anslin provides a demo of Karhia Pro - the first coat stripping machine! More Open Mic sessions to be confirmed! Angela Caley, ICMG UK: "The History of Dog Grooming"
Heidi Anderton, LCGI: "CAT Grooming"
Katie Rourke Dowding: "Mind Your Own Business"
Ryan Lee and Sophie James: "Make More Money #30WAYS"
Colin Taylor: "Work Smarter, Not Harder"
Paula Bryan: "Maintaining Your Equipment"
To the disappointment of many, there will be no President Trump balloon or any kind of political demonstration or police presence at this year's BIGA Show. We are, after all, above politics (ahem). To book your ticket to the BIGA Show 2018, please click here. Just £10 for members or £20 for non-members. Children 16 and under go FREE. Dogs also welcome. The BIGA Show 2018 is OPEN for Trade Stand Applications. 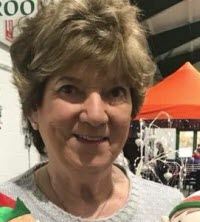 At just £100 for the day ( 3m frontage tradestand), or £50 for a trestle table in the market, the show expects footfall of approx 200 or more pet grooming professionals. Spaces are Limited, so please be sure to apply quickly. Traders are asked to decorate their stands in a Christmas theme to help us create a "Christmas Market". 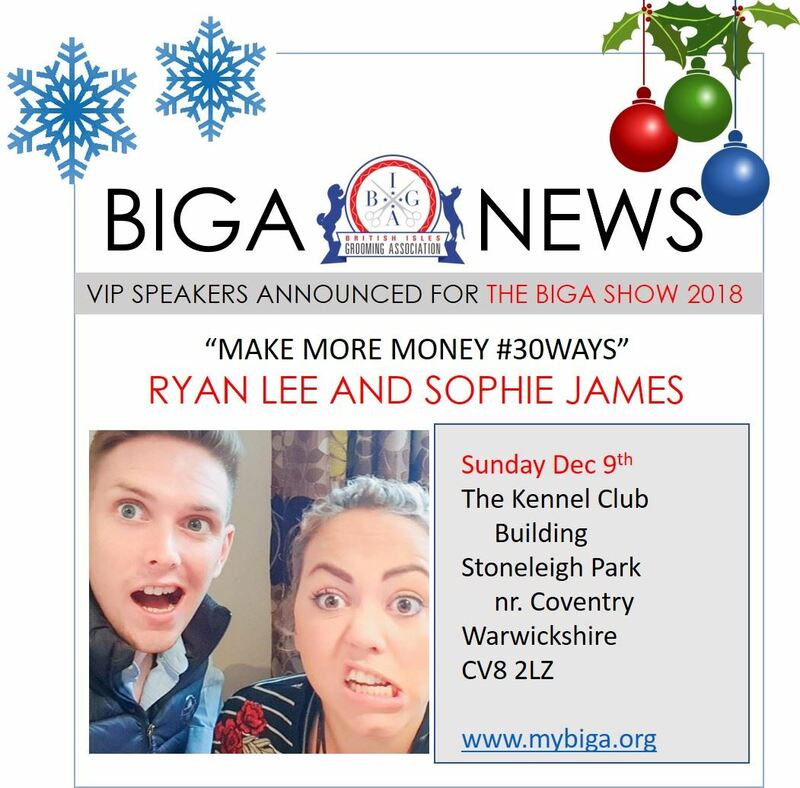 The BIGA Show takes place at The Kennel Club Building at Stoneleigh Park, nr Coventry, on Sunday December 9th, 2018. We're expecting lots of interaction from the show visitors! Like last year, we're having a Treasure Hunt. Visitors will come to your stand to collect a clue, which is then used to solve a riddle for a chance at winning one of our grand prizes. In addition, we're organising a Passport for each visitor. The visitor comes to your stand to get their passport stamped by you. Completed passports are then entered into a draw for a chance to win yet another fabulous prize. And if that isn't exciting enough, we'll be providing a free mince pie to every guest who comes to the show. It's a lovely Christmassy show featuring 12 live grooming demonstrations, lots of guest speakers, a couple of fun competitions plus the BIGA Question Time (aka Town Hall) as well as a chance to win another Door Prize for the lucky visitors who buy a chocolate bar and find a Willy Wonka Golden Ticket inside. 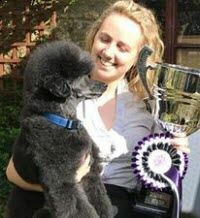 The British Isles Grooming Association (BIGA) is delighted to announce the formation of its new Pet Grooming Experts Panel. 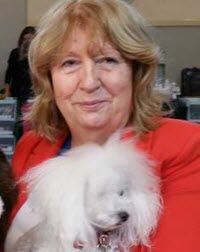 The Experts Panel will be BIGA's representative consultants as BIGA engages Government and other official bodies with respect to any legislation or initiatives that may affect professional groomers across the UK. BIGA is pleased therefore to welcome the following members to the Panel, who will be reaching out to YOU and the wider community of professional groomers. We want to hear your voice - and we're glad to have our experts help us pull these voices together in a unified way, to ensure the highest standards in our industry and for the sake of the health and welfare of pets in our care. BIGA has created the Panel to support its efforts as an associate member of the Canine and Feline Sector Group (CFSG) which advises Government via the Department for Environment, Food and Rural Affairs (defra). BIGA members - please visit the Resources For Members page to download the new BIGA Customer Registration Form that you can use in your business. This has been created by one of our members and she is happy to share with other members. Save time. Don't re-invent the wheel. Yes, it includes a tick-box that your customer needs actively to tick to confirm they are happy receiving communications from you! The new EU-wide General Data Protection Regulations (GDPR) comes into effect May 25th, 2018. To ensure you are compliant, please visit the Information Commissioner's Office website for details of how GDPR can affect your business. BIGA members - we have uploaded a new Customer Registration Form that you can use in your business. Just download it from the Resources page - it is also available to download from the Forum topic about GDPR. Click here. Thursday 17 May 2018 - The government is currently looking at widening regulations within pet care to include the pet grooming industry and has welcomed participation from the British Isles Grooming Association (BIGA), according to a statement from the Canine and Feline Sector Group (CFSG). In October this year, or shortly thereafter, the Animal Activities Licensing Regulations – which, in part, impacts home boarders of pets - will come into effect. 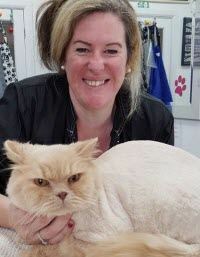 To be run by local authorities on a star-rated system, the licensing and regulation of pet groomers may take a similar shape and could be expected within the next five years. BIGA has been invited to join the CFSG as it advises the Department for Environment, Food and Rural Affairs (DEFRA) on this process. BIGA directors Heidi Anderton and Pam Gee, along with Honorary Member Angela Caley, attended a ‘Big Tent’ meeting at DEFRA on May 1st. At the meeting, stakeholders across the pet industry were briefed on the new rules for pet boarders and were invited to engage their peers and colleagues in the industry about how a similar system could be implemented within the pet grooming industry. “This is very big news and I’m pleased that BIGA has been invited to advise government in the shaping and making of policy that could directly impact professional groomers across the UK,” said Heidi. “CFSG is pleased to have BIGA as a member so that we can move forward with ensuring good standards within the grooming sector and as you may know we are currently looking at drafting guidelines around this. The risk-based system is only for the activities included under the current Regulations but CFSG's aim will be to widen that and include a number of additional activities involving cats and dogs. BIGA's input will certainly be welcomed and we look forward to working with you." If you would like to discuss the proposed developments with other members of BIGA, please visit www.mybiga.org. Visit us at Crufts, Hall 5 - Stand 91, to find out more! Crufts is getting BIGA and better lol!